The Instinct concept's low-slung look and distinctive LED daytime running lights may appear on the new 508. Peugeot will give its new 508 sedan fresh styling and more advanced technology in a bid to lift the car's sales amid shrinking demand for midsize sedans. 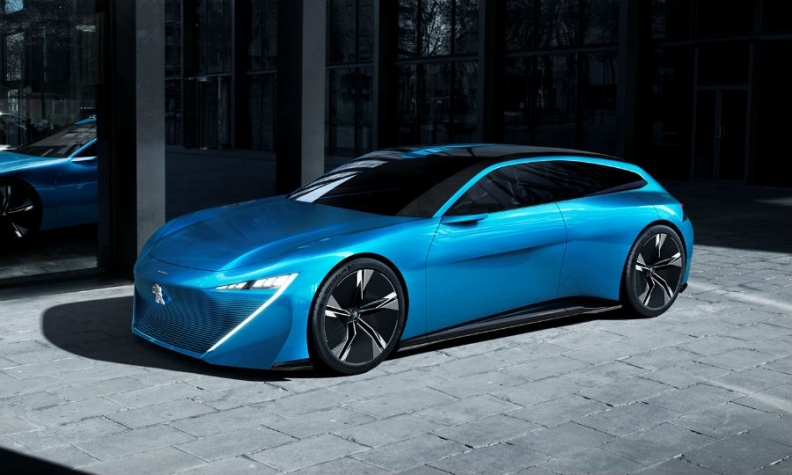 The new-generation 508 will debut at the Geneva auto show on March 6 and its styling will take a different direction from the look of the current car, a source close to the automaker said. Peugeot has not disclosed the 508's new design nor has it given details of what technology will be added. PSA CEO Carlos Tavares said in 2015 the new car will have semi-autonomous driving features such as automatic steering and braking. The 508's styling is expected to be more swooping with a coupe-like roofline. The design will use some cues from Peugeot's Instinct concept unveiled at the 2017 Geneva auto show. The 508 will move from PSA's PF3 platform to the EMP2 platform that also underpins models such as the 5008 and 3008. It is expected to have a station wagon version. The 508 will compete against cars such as the Volkswagen Passat, Ford Mondeo and Opel Insignia in a segment that as sharply declined in Europe in recent years as customers move from sedans to SUVs and crossovers. The current car has been on sale since 2011 and was unique in the segment for offering a diesel-hybrid version, since discontinued. The new generation is likely to have a plug-in hybrid variant. Sales of the 508 fell 39 percent to 22,724 in Europe last year, according to market researchers JATO Dynamics. PSA builds the 508 in Rennes, France, and in Wuhan, China.